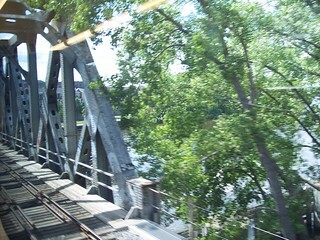 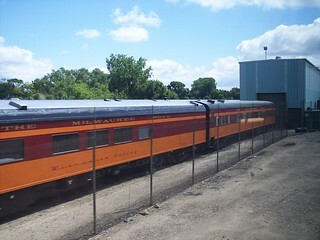 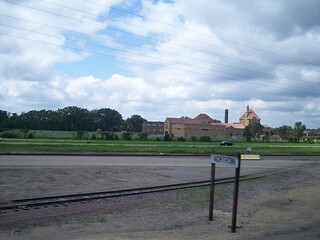 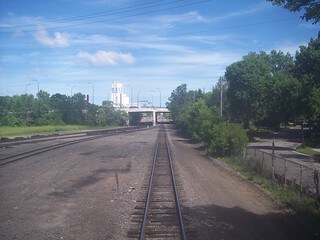 Heading northwest from the former Midway station we approach Minneapolis Junction. 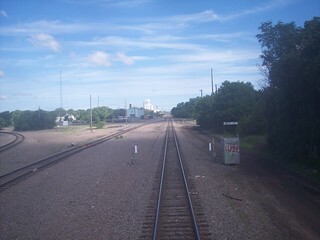 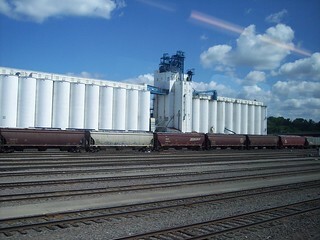 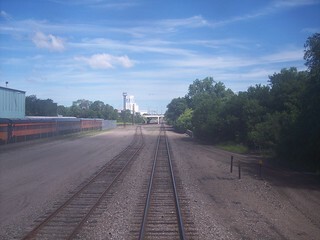 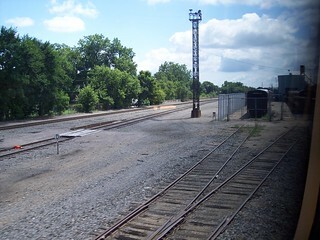 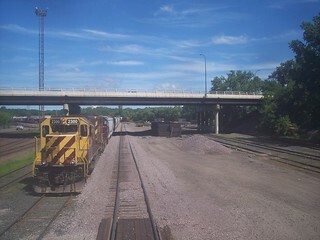 The tracks to the left head into Minneapolis while those straight ahead continue toward Fridley. 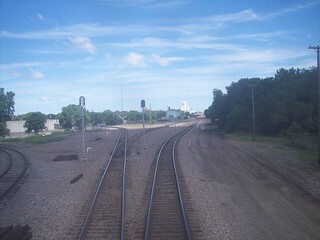 The tracks used by the Northstar join from the left (as seen from the Empire Builder) and a view of the Empire Builder route from our Northstar train. 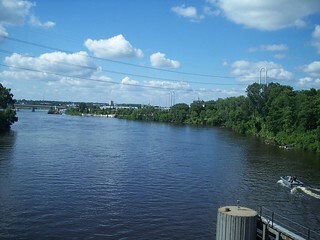 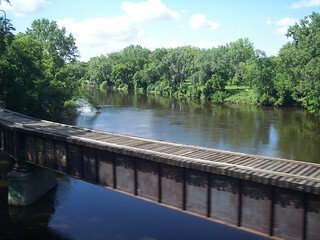 A look at the Mississippi River from the Northstar. 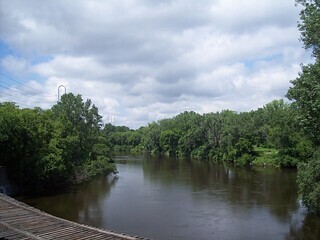 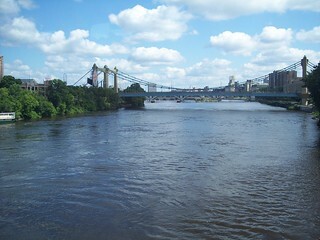 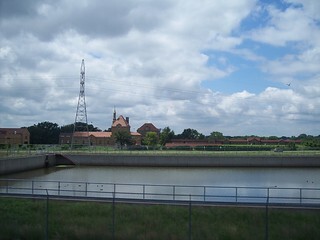 More views of the Mississippi River.